WBO number one junior middleweight contender Dennis ‘Hurricane’ Hogan 28-1-1 (7) will get his long awaited world shot in the coming months after the WBO ordered their champion Jaime Munguia 32-0 (26) to begin negotiations for a mandatory title defence. The Puerto Rico-based sanctioning body issued a letter dated January 31 to Munguia’s promoters Golden Boy Promotions and Zanfer Promotions, as well as Hogan’s promoter DDP Sports. All parties have 30 days to negotiate terms and reach an agreement for the fight. 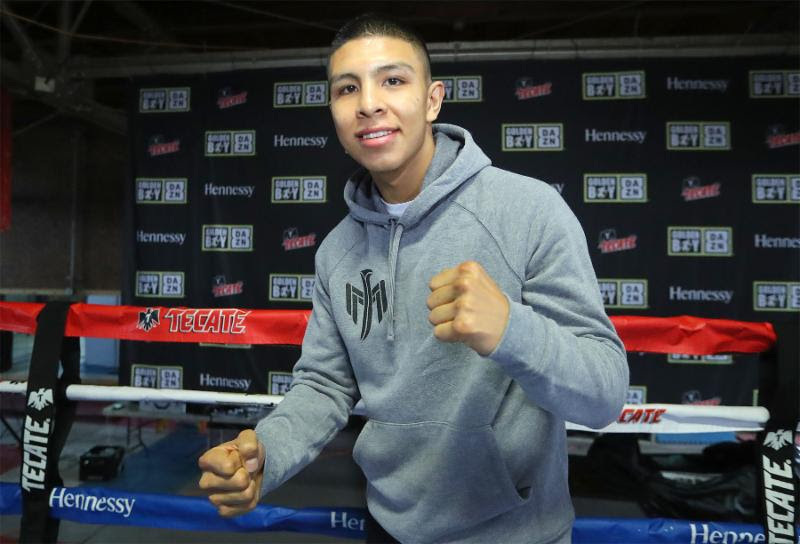 The 22-year-old Munguia has openly discussed his desire to unify his championship belt with the two other recognised titleholders in his division, WBA and IBF boss Jarrett Hurd and newly-minted WBC kingpin Tony Harrison, before moving up to the marquee middleweight division. Australian-based Irishman Hogan, 33, plans to throw a spanner in the works. There has been talk of Munguia’s next fight taking place on the undercard of Saul ‘Canelo’ Alvarez versus Daniel Jacobs on May 4 in Las Vegas, Nevada, but Munguia recently revealed his team is looking at an earlier fight date of April 13 in Monterrey, Mexico. This would place the fight on the opposite side of the country to Munguia’s hometown of Tijuana. This doesn’t sit well with Paul Keegan of DDP Sports, who says he will do everything in his power to bring the world championship fight to Brisbane, Australia. “We have no interest in going to Mexico but as stated we have until the end of February to lock in a fight,” Keegan said. The minimum acceptable bid for a WBO junior middleweight title fight is $200,000. Munguia successfully defended the title for the third time last month in what many observers and pundits believed was a subpar performance when largely unheralded Japanese boxer Takeshi Inoue 13-1-1 (7) extended him the 12-round championship distance in a competitive fight. Hogan is coming off a 12-round points win over Jamie Weetch 12-3 (5) last December.